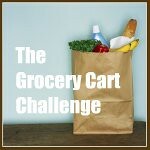 The Grocery Cart Challenge: What Do You Drink? I often mention that we don’t drink milk, juice or pop very often. Instead we drink lots and lots of water. I’ve gone into the details of just how good this is for you HERE. But I also keep two flavored drinks on hand when we are all wanting something sweet. I have two gallon size pitchers that I make Lemonade and Iced Tea in and keep them in the fridge for weekly drinking. The cost is a fraction of what it would cost me to buy prepared juice or bottled drinks. If you have a smaller pitcher just cut this in half. 1 gallon Iced Tea - Put 12 tea bags in the bottom of your pitcher. Pour 4 cups boiling water over the top and let steep for 15 minutes. Remove the tea bags without squeezing them. Add 12 cups cold water and refrigerate. We all have different sweetness levels so we add our sugar when we pour the tea into our glass. How do you make your iced tea? I like the lipton green tea individual water mix ins, and use them during the day when I am at work. I get them at Walmart, but they are still expensive. Any idea where I could get "green tea powder" and make my own? The great thing about making your own iced tea is that you can change up the flavor. I’ve used green tea bags, chai, chamomile, orange spice…all kinds of flavors with great success. Then I sweeten it to my taste and put it in my portable water bottle. The stuff in those mix-ins is probably laden with all kinds of nasty chemicals. So by making it yourself you’re not only saving money but you’re putting something healthier in your body. Great ideas. We are trying to get away from drinking sodas and I have been making iced tea and lemonade (but I was using a lemonade mix - bad!). I will use your lemonade recipe! And I have an iced tea maker - which I love and can use tea bags or loose tea. Hubby and I like to mix the lemonade and tea together for a yummy drink. For tea, I use a cold-brew method that we think makes the tea taste "smoother" than the hot-brew method. I put in the desired amount of sugar in my gallon jug, add water to the top, add my two family size tea bags and refrigerate. Within 2-3 hrs, the tea has steeped just the right amount to remove the tea bags. Water is our drink of choice, too. I love lemonade and make it in the summer. I will buy diet A&W root beer from time to time! about milk, none of my 3 children liked to drink milk. I cooked with it and they did eat it on their cereal but they never just wanted a glass of milk to drink - unless it was chocolate. My point is, my children all grew up healthy and I am sure your children will too. But I am sure you hear lots of comments and worries that your children must be calcium-deprived. I also mix up lemonade and tea. I 1/2 regular tea bags and 1/2 herbal tea bags and we really enjoy that. There are lots of different flavors out there to try and they are all very good. We also do water with lemon. Once in awhile we buy soda but mainly for get togethers. thanks for the recipes. as soon as the warm weather returns i will make some!!! 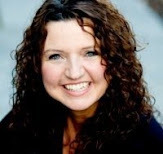 I am totally hooked on your blog with your money saving ideas. I did not save last week as I had hoped because I spent extra on some meat that I found on sale, but this week I should be able to get back on track. I also have another friend that I told about your blog and your grocery cart challenge and she's trying it and we compare notes. At our house, we drink mostly water as well, but we do also enjoy lemonade. Thanks for the recipe. the question i have for you is, how do you get your kids to drink water? i try, but they will take milk or juce any day over water. and if water's the only thing in the house, they won't drink. Any suggestions? I love your blog. i have a family of six myself and thought I was doing good at what I was spending. I was trying to figure out where to get the money for christmas and if I use your challenge then I won't need to find it. Hey there ~ Love your blog! I love to buy my tea at Trader Joe's. I buy a box of blackberry tea and use 10 bags steeped to make a gallon with a bit of honey. This costs me $1 per gallon. I also love their other flavors, they have so many organic and unusual flavors for the best price I can find!! I always have tea made, and keep it mixed up with different flavors. I'm going to try out your lemonade, sounds great. We just can't go without juice, but we cut it with half water. Dang! You just posted my "secret" lemonade recipe! It's not really a secret, but I get lots of compliments on it when I serve it at gatherings! It is yummy, and beat the heck out of Countrytime! This is the recipe my mom made when we were growing up. By the way, I have an award for you on my blog!